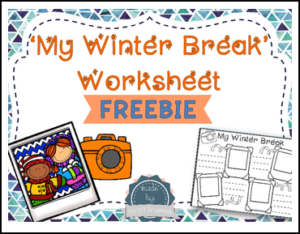 This free worksheet is designed for students to write and draw about what they did over the winter break. Two versions of the worksheet are included- one with space for students to write about what they did and the other which specifies what they should draw about. These are designed for use as a fun activity for students when they return to school after the winter break. Thank you for taking the time to look at this freebie. We really appreciate all feedback! This product is for use by you in your classrooms or therapy rooms only. Please do not sell, share or claim as your own.